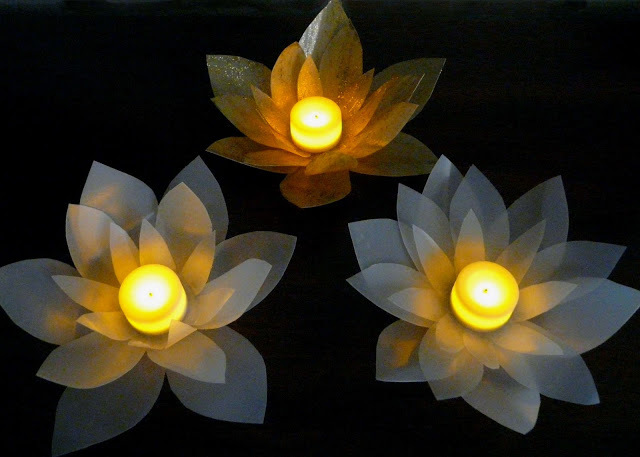 Most upcycle projects that I see are glass-- wine bottles, jars, even beer bottles. Not too many pretty projects with plastic milk gallon jugs though. I wonder why? ;) I guess they aren't the most exciting in their original form, but with their vellum-like quality, I thought they would be perfect for a votive project. Since I want to use these in our backyard this summer, I decided to make them as water-resistant as possible while also keeping it an easy DIY. After trying several adhesives, I'm happiest with this clear adhesive sealant. 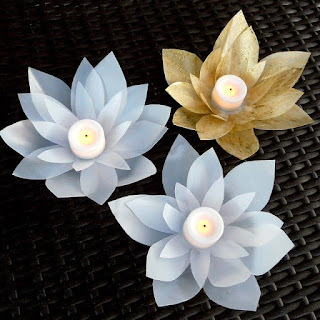 It is easy to work with (the texture is thick enough to adhere the pieces together without using clamps) and it also dries relatively quickly... although not as quickly as hot glue. Why I didn't use a hot glue gun... Unfortunately hot glue does not adhere well to polyethylene (the material that milk jugs are made from) and it is not water resistant. 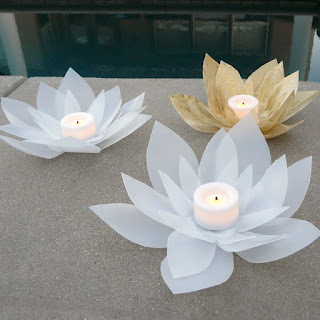 If you do want to use a hot glue gun, you'll have paint the polyethylene (clear spray paint or acrylic paints) or rough it up with sand paper. Even with that, the bond will not be as strong. If you don't have any milk jugs on-hand or don't feel like an upcycle project, you can also purchase polyethylene plastic sheets. They vary in thickness though and, since I have never used them before, I can't vouch for their performance. acrylic paint (optional) i used this multi purpose paint in gold since it adheres well to many surfaces. i also used this glitter paint to add some dimension. 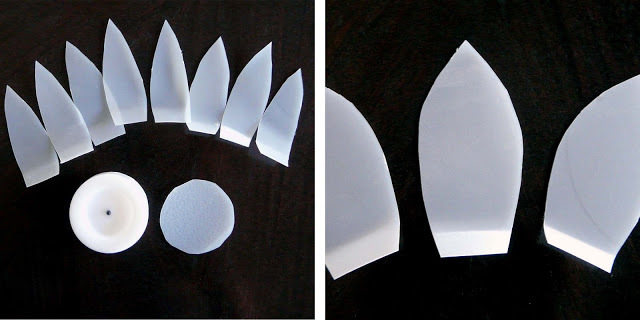 The first step is to make a template for your petals. 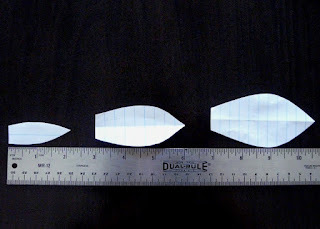 I cut-out eight (small) 2.25-inch petals, six (medium) 3-inch petals and 6 (large) 4-inch petals. There aren't any set rules for this. I wanted a lotus-like votive so I made my medium and large petals wide. 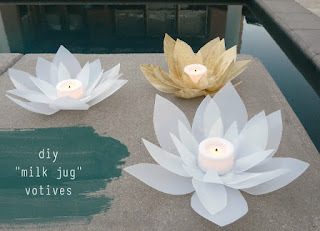 Cut out your petals from the milk jug as well as a round piece for the center. The round piece should be about the same size as your votive. You obviously don't want to use your best scissors for this project. I used a cheap pair and it worked fine. Bend the end of your petals. Luckily polyethylene is very flexible and doesn't crease (at least my jugs from Trader Joe's don't). 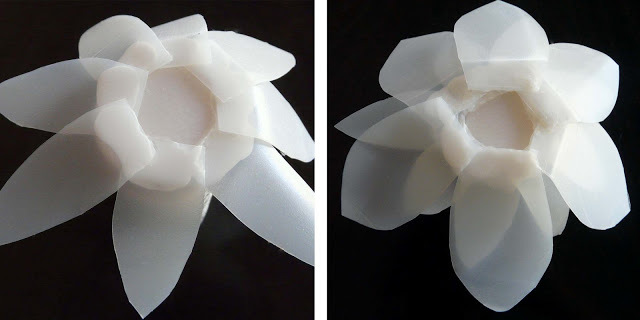 You can later add more "bend" to your petals when the project is complete. Now it's time to glue everything together. Start with the circle and adhere the smallest petals first. You can wait a bit for the sealant to dry a little... or if you're impatient like me, you'll just plow ahead. I then attached the medium-sized petals, followed by the large petals. I perched it upside-down on a acrylic paint bottle to dry. Let the sealant dry overnight. It will be clear when dry.